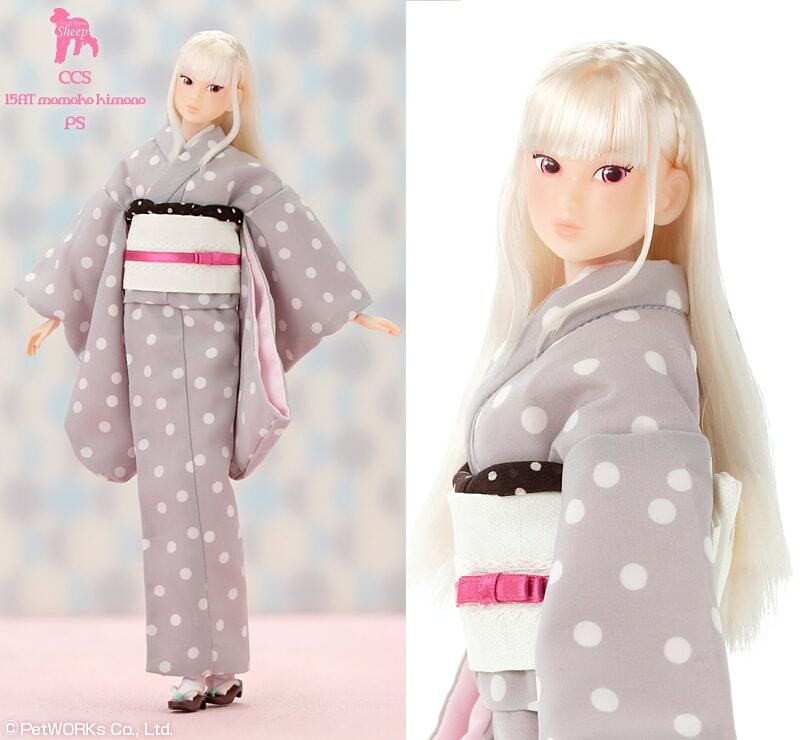 PetWORKs announced a pretty Momoko doll who is wearing a fun polka dot print kimono. Visit here to see her little sister wearing a kimono. 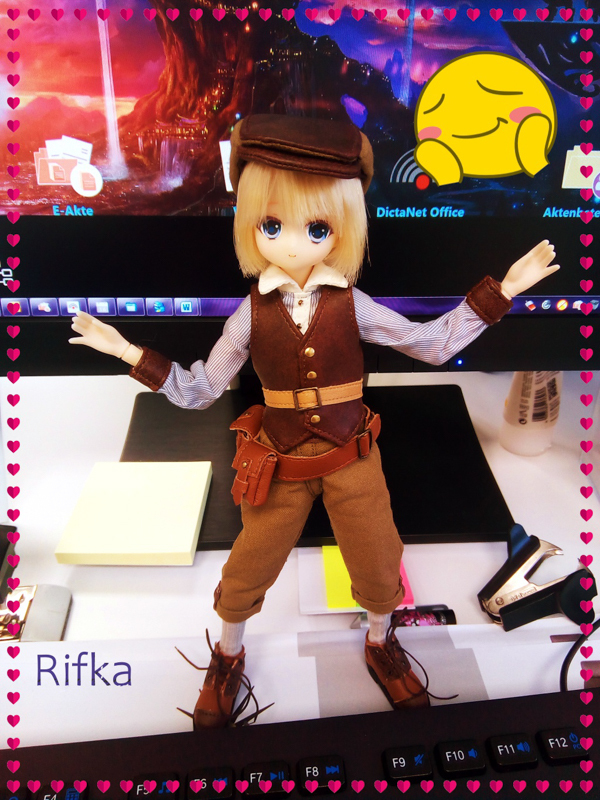 Her name is CCS 15AT Momoko Kimono PS. 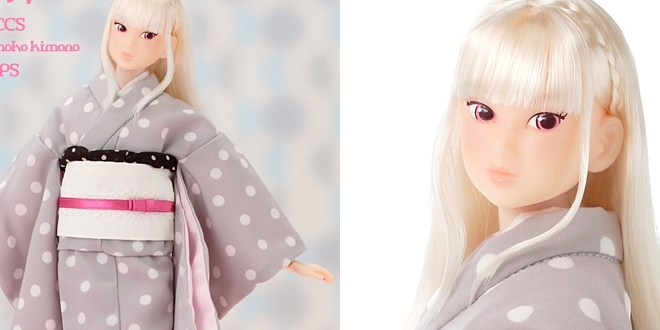 Earlier this year in Spring, the exclusive CCS 15SP Momoko Kimono was released by PetWORKs. 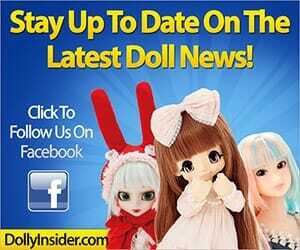 CCS 15SP Momoko Kimono is wearing the same polka dot themed kimono as this latest announced Momoko doll. 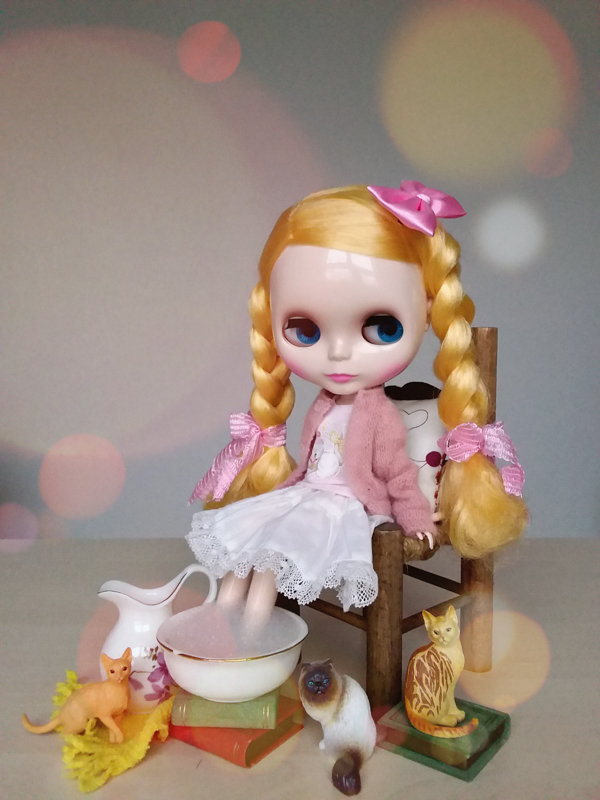 I prefer this Autumn version of Momoko with the platinum blonde hair. Her lovely hair with those soft pink eyes really stands out and look beautiful against her grey kimono. 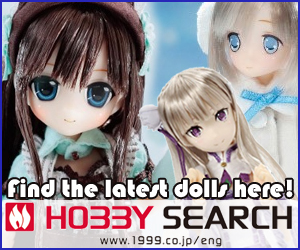 What are your thoughts on the CCS 15AT Momoko Kimono PS? Will you be adding her to your collection? Leave a comment below.